THE DEPARTMENT OF Employment Affairs and Social Protection has confirmed that a glitch that saw parents miss their Child Benefit payment this morning has been resolved. This morning, a number of people across the country – particularly those who bank with Permanent TSB, Ulster Bank, and An Post – reported a delay in receiving the payment. 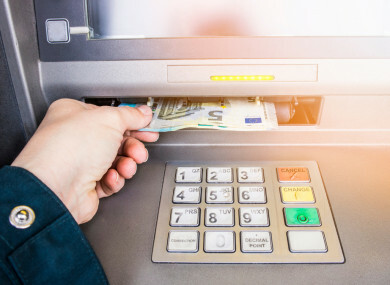 The monthly allowance of €140 for each child is usually paid on the first Tuesday of every month, but an industry-wide banking issue led a number of people to miss out today. A spokeswoman for the Banking & Payments Federation of Ireland (BPFI) attributed the problem to an overnight issue in the European payments infrastructure. One person who contacted TheJournal.ie said they relied on the benefit to make basic payments, adding that they had been given no indication as to when they would receive it. “I have scheduled monthly payments such as bin charges, fuel for my heating system, and telephone bills to be deducted at the end of each month before the benefit is paid,” she said. This afternoon, the Department of Employment Affairs and Social Protection said it had been informed by the BPFI that the issue with the EU payments systems has been resolved. A spokeswoman said: “Customers whose social welfare payments were affected can expect payment to reach their account over the course of today. Earlier, a spokeswoman also said that all payments made by the Department had been processed as usual, and that contact had been made with banks about the problem. A spokesman for An Post also said customers who had not received the payment into their accounts could visit their local post office to receive it over the counter. Email “Problem over payment of child benefit to Irish parents 'resolved' following industry-wide banking issue”. Feedback on “Problem over payment of child benefit to Irish parents 'resolved' following industry-wide banking issue”.